What Makes Xerox Multifunction Devices So Secure? Cybersecurity is a hot topic as more people become aware of the lengths hackers will go through to steal sensitive data. In fact, over 1 million new exploits are released each day. More connected devices enter the workplace, and this increases the number of potential entry points for hackers. Printers and other connected devices are increasingly becoming hacker targets as they search for weak points within a network. Until recently, not many companies thought about buying a secure network printer when making upgrades to their existing printing infrastructure. The threat was simply not on the radar. Luckily, Xerox has been working on security solutions for their products to ensure that businesses can feel confident when deploying a Xerox Workgroup Devices in their office. When you graduate from high school or college, you put your diploma or degree up on the wall as a reminder of the hard work you have put in. Xerox Altalink Multifunction Devices earned their own recognition just without the long-winded valedictorian speeches and cap tossing. In fact, Xerox Altalink Multifunction Devices were the first print devices to receive standard certification from the National Information Assurance Partnership (NIAP). The NIAP-approved products list is an exclusive club for only the most secure devices that meet strict requirements to protect data from intrusion and theft. So, what exactly earns a device a spot on the NIAP-approved products list? The device must pass a series of tests that verify information protection from external threats, independent penetration testing, and strict requirements for security including authentication. As a result, passing this testing is not a simple task. This is why Xerox Altalink Multifunction Devices are seen as the benchmark for multifunction printer security. How Does Xerox Create a Secure Network Printer? Hearing that Xerox Altalink Multifunction Devices made the NIAP-approved products list is one thing. However, you may be wondering what security measures are actually used to ensure that Xerox Multifunction Devices are secure from outside threats. There are four important pillars that Xerox uses to create the industry’s most secure printers. The first two pillars, intrusion prevention and device detection, go hand in hand. The ConnectKey technology allows for fully controlled managed print services. Administrators can remotely monitor and audit users as well as devices to ensure that no unexpected users are present. In addition, innovative virus whitelisting protects devices and users from external threats. The third pillar for device security is document and data protection. All users, especially those in government roles, must be confident that the documents and data passing through their Xerox Multifunction Device are secure. This is where the NIAP testing and NIAP-approved products list comes into play. Without this certification, security cannot be guaranteed to be up to the standards required by government agencies. Finally, the fourth pillar is “external partnerships.” A security solution is only effective if it can pass scrutiny from people or organizations outside the company. This is why Xerox has formed external partnerships with companies like McAfee to ensure the highest-level printer security for users who deploy Xerox Altalink products in their organization. When it comes to security, businesses want to know that they can still count on their employees to be productive and efficient. Security solutions that create roadblocks or headaches are not solutions at all. This is where Xerox has found a very nice balance. While IT management can feel confident in the security implementations, the end users will not notice anything out of the ordinary. In fact, they may discover that their tasks are made even more seamless and efficient with a Xerox Workgroup Devices. One great example of this is the integration with cloud document and data storage. Xerox multifunction devices work with the services that you already use to ensure sharing and collaborating is easier than ever. People will be delighted to see that they can work from any device, including their mobile device, to get their work done more efficiently. 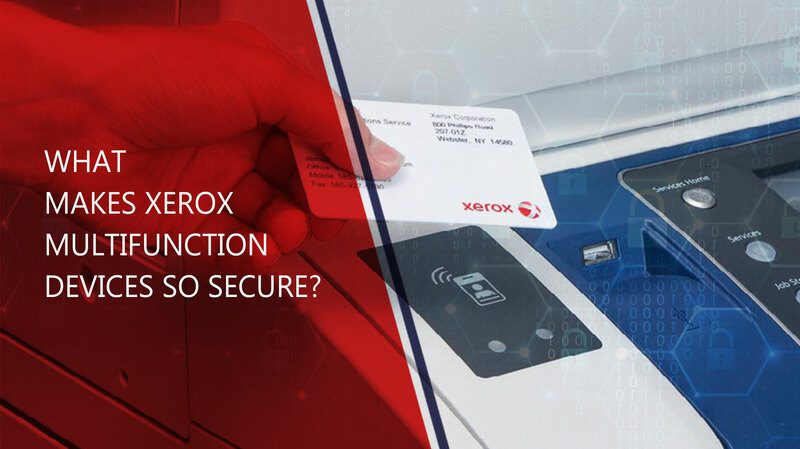 To the end user, the industry-leading security features of Xerox devices are not cumbersome or annoying. In fact, most people may not even recognize the security in action. There is no need to choose between incredible productivity features or industry-standard security. Xerox Workgroup Devices offer both for their users, and deliver the document security solutions that modern businesses demand without interfering in day-to-day operations. Want to learn more about what makes a secure network printer, the importance of being on the NIAP-approved products list, or the features packed into Xerox Multifunction Devices? Contact us at Zeno Office Solutions today!